Adding a puppy to your family is no less than welcoming a newborn human baby into your life. They have the same cuteness that makes your heart go warm. However, there is also a flip-side to the inclusion of this new member – their sheer energy is too much for a regular person to handle. Whether it is the persistent crying or the tantrums, or simply staying up when the entire world is asleep; everyone has to put up with things that are not-so-great about having the adorable fur-balls around. That surely does not mean that you will spend every night sleepless! In fact, dogs, like humans, follow the regular sleep-wake cycle. But it takes time for a puppy to adjust to this schedule, especially considering that they have not mastered the art of bladder control. 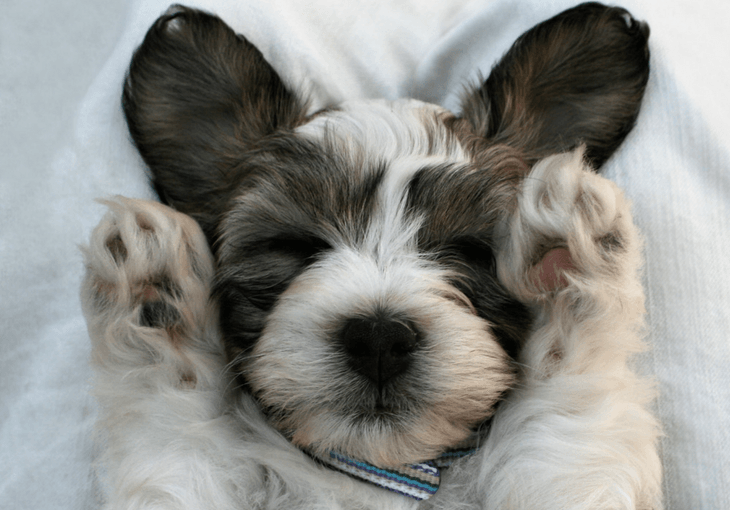 Therefore, if you are new parent to a baby pooch, here are ways that will help you train your puppy to sleep all night. Puppies are a bundle of vibrant energy. Therefore, the best way to keep them in check would be by involving them in activities that will tire them out. You will also be extremely excited about having in at your home so you can include him in age-appropriate activities that will stimulate his mind and body. This also paves the way for a loving and nurturing bond between you and the puppy. Start keeping a schedule that you and the puppy can follow. A good practice would be refraining from indulging in any activities that may get the puppy excited. Try and keep everything calm for at least 30 minutes before bedtime. Like humans, dogs love following routines. Make and follow a bedtime ritual that indicates that it’s time for lights out! A puppy that has peed and pooped before going to bed will be able to sleep deeper and longer throughout the night. If they wake up for loo breaks, it is quite possible that they may feel energetic once again and then get distracted from the surroundings. This may lead to another couple hours of staying awake. Even though a pre-sleep pooping and peeing break may seem like enough, your puppy’s body is not designed to hold in urine for a duration longer than a couple of hours. Therefore, you will also need to schedule a midnight potty break for your puppy. However, remember to not engage in any activities that may excite your puppy. Simply allow them to do their business without any fuss lest they snap out of their sleep. Remember how you need just the right temperature conditions before you go to sleep? Puppies need that too. A puppy that is sleeping in a comfortable environment will sleep longer. You may find what suits your puppy best by simply observing their response to the sleeping conditions you offer them. Do they like warm fuzzy surfaces? Or cold hard spots? This may also be related to the external conditions. Chewing is a comforting activity for dogs. This is even more soothing for puppies which have started teething. You can give your puppy a dog biscuit or a chew toy before going to bed. However, steer clear of the squeaky toys least you can sleep through their noise! Leaving behind a chew toy in your puppy’s crate also ensures that they have something to do in case they wake up before you do. Decide on a sleeping place and stick to it. If you wish to sleep with your puppy in the bed, do so. However, if you are putting him to sleep in a crate, place it near your bed. If your puppy hasn’t been housebroken yet, this could be a good way to keep him calm. Puppies can get anxious in new environments and having you close will make him feel like he is not alone. Even if they are startled out of their sleep at night, knowing that you are around will help them go back to sleep. Once the puppy starts growing and becomes more matured, they will become more independent and free. While it is a personal choice where you wish your puppy to sleep, a crate would be a good place to start considering that young puppies do not have bladder control. So most likely, your puppy will have bed-wetting accidents in the night. Keeping the environment ambient and quiet will help your puppy go to sleep quicker. Activities and noises will keep him alert and it will deter him from sleeping. Therefore, while you are building up a sleep schedule which may include giving them a treat or a chew toy, also ensure that you carry this out in a noise-free setting. This also includes dimming out the lights to make your room feel cozy. 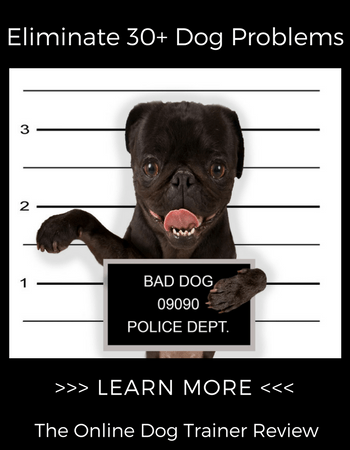 Don’t let your puppy know that they wield the power to have you come running at their beck and call if they begin barking or whining. This would simply encourage them to indulge more in such activities so as to gain your attention. If it is difficult for you to ignore the noises, make use of reliable ear plugs or any noise-cancelling object that may block out the noises. Like your sleep routine, also follow a wake-up routine. Take your puppy on a potty break and smother him with your love and attention. However, do bear in mind that your puppy’s morning could mean something as early as 6 AM! So if you like to sleep longer, ensure that your puppy has a potty pad to relieve himself. You can entice them into sleeping a little more by offering them snuggles as ransom after they are done peeing and pooping! About the Author: Adarsh Gupta is a veterinary from India and contributes articles on various websites like puppywire.com.